Farm Rich Grilled Cheese Sticks, Jalapeño Peppers and Loaded Potato Skins will be a touchdown at your homegating parties and big game! *This post is in partnership with Farm Rich. As always, all ideas and opinions are my own. Are you as excited about the big game as I am? 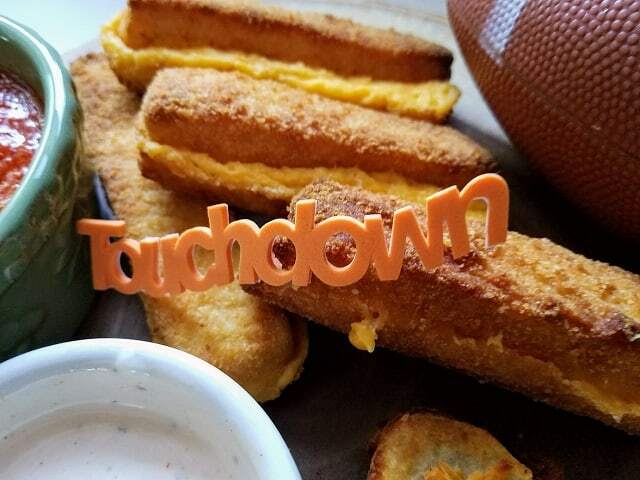 I really don’t know which I am thrilled more for…the football or the food! I mean, seriously, we love our “homegating” football spread. You can’t get better than this. It’s not heavy duty cooking and it’s really tasty!! I have three super delicious and very easy-to-make appetizers that I think you will really enjoy. 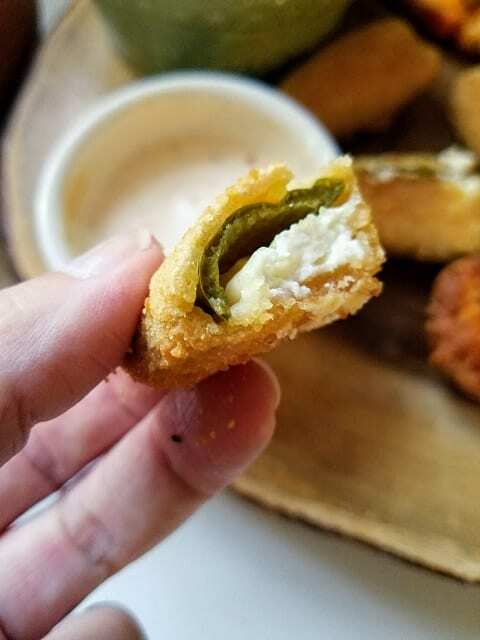 They are Farm Rich Jalapeño Peppers, Farm Rich Grilled Cheese Sticks, and Farm Rich Loaded Potato Skins. 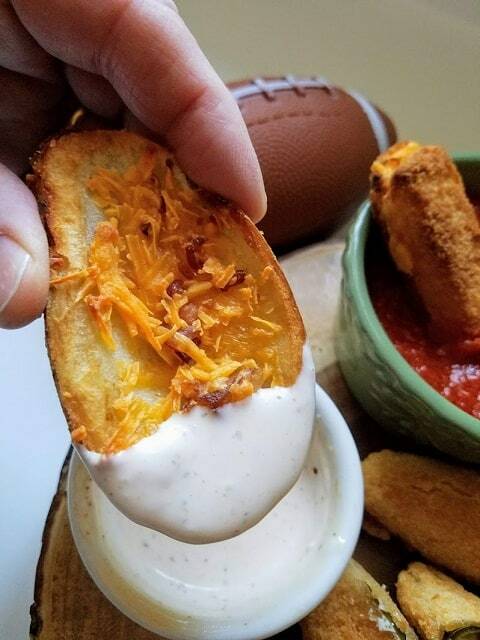 These are my favorite football party foods because they are easy, tasty, and convenient. I serve them with sliced celery sticks and cucumbers for delicious color and crunch. 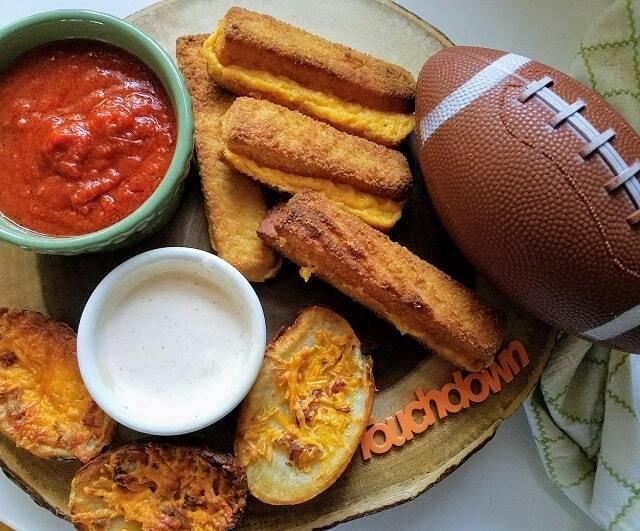 I think that football food should be cheesy, yummy and fit for a crowd. That’s why for the biggest football game of the year, the food takes center field. 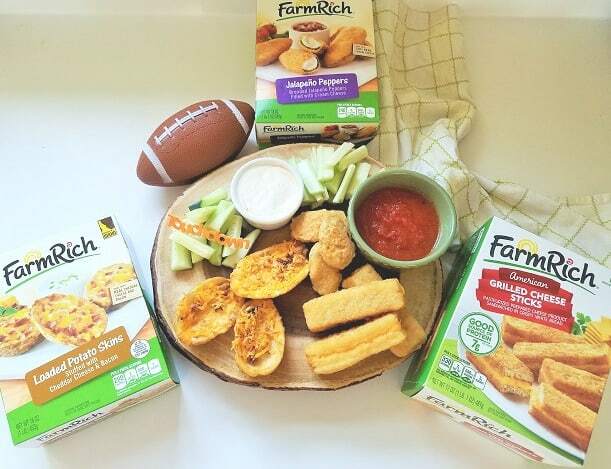 Farm Rich is one of America’s favorite snack and appetizer brands, offering flavorful food for your game day “homegate,” whether entertaining just your family or what feels like a packed stadium. Make sure to scroll down for the Giveaway! We’re all about the “homegate” in this house for watching football. (I just found out what homegating means and I love this term!) It’s like tailgating but better, it’s in your own home! On game day, we gather around the TV with friends, family and good food. Homegating is the new tailgating and Farm Rich helps make it even easier with tasty, quick and convenient snacks that put the fun on the food table in just minutes. Please remember to share on  Facebook and save this post to Pinterest. I love having friends and family over for a homegating party. Lots of yummy snacks are served along with delicious drinks. It’s not a lot of work or planning. I just grab my favorite snacks and add some yummy dipping sauces. These  Farm Rich snacks can be made in the oven or microwave. It’s Easy Peasy! That’s the best way to put a homegating party together! Great company, delicious food, the excitement of the game is one of my favorite ways to spend a weekend afternoon. I created a chipotle ranch dip for the Farm Rich Loaded Potato Skins and Farm Rich Jalapeño Peppers. Just mix some chipotle sauce and ranch dip together in a bowl. Marinara sauce perfectly pairs with the new Farm Rich Grilled Cheese Sticks for dipping; I like a sauce that doesn’t have a lot of sugar and is made from minimal ingredients. All of the snacks are great for dipping! These dips bring together new flavors that complement  Farm Rich snacks. I picked up these  Farm Rich Grilled Cheese Sticks, Jalapeño Peppers and Loaded Potato Skins in the freezer aisle at my local Hannaford Market. Farm Rich has a wide variety of products ranging from Mozzarella Sticks and Meatballs to Loaded Potato Skins and Grilled Cheese Sticks. Farm Rich makes snacking fun and oh-so-easy. The products can be enjoyed as fast snacks or quick meals and are great for hosting on game day or having during casual get-togethers and family time. 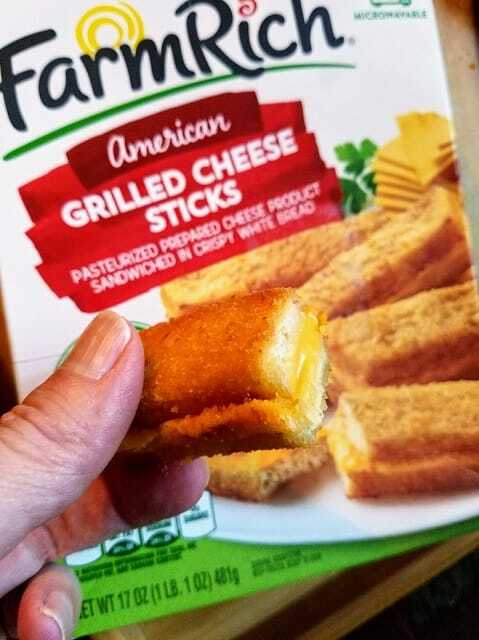 My kids just love the Farm Rich Grilled Cheese Sticks, they are great for dipping or eating just as they are and can be microwaved in just a minute! For more Game ideas click  HERE. 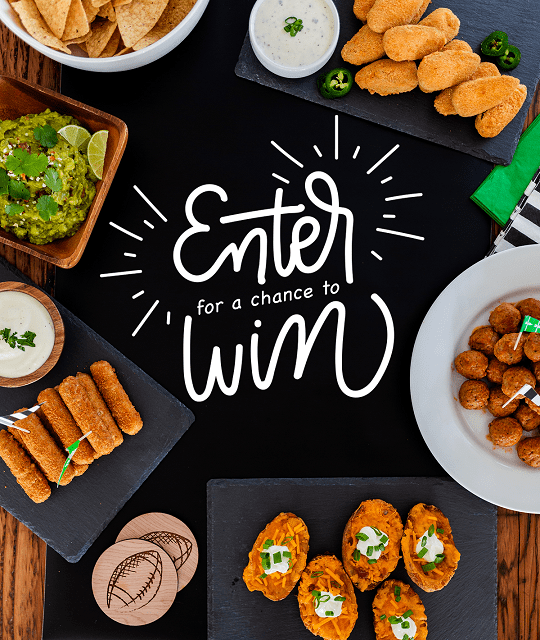 Be sure to check out the Farm Rich Giveaway for a game-day party in a box (+ TV) on Instagram for all your Feb. 3rd needs. Official Rules HERE. Connect with Moore or Less Cooking! Follow me on social media, so you never miss a post.